EU Law Analysis: Schipani v Italy: When does the ECHR require national courts to refer questions to the CJEU? Schipani v Italy: When does the ECHR require national courts to refer questions to the CJEU? The ECHR’s judgment in Schipani vs. Italy, of 21 July 2015, has reopened a subject that is close to the heart of many EU lawyers: the breach of the ECHR by a national court for failing to make a preliminary reference. The ECHR made this judgment public shortly before the summer holidays, so it might have come a bit unnoticed. In fact, Schipani vs. Italy is not revolutionary at all, because it confirms a line of reasoning that the ECHR started in In Dhahbi vs. Italy, not too long ago. In Dhahbi vs Italy, the ECHR stated that a refusal by a national court of last instance to make a reference to the Court of Justice, providing no reasoning at all when justifying its decision, entails a breach of Article 6 ECHR (the right to a fair trial). So if a supreme court refuses to make use of Article 267 TFEU (the provision on references to the CJEU) for no reason whatsoever, despite the fact that the appellant has raised it in the appeal, such refusal will breach Article 6 ECHR. Schipani vs. Italy follows the same track (regarding the same national court, by the way). In this case the Corte de Cassazione had considered the arguments of EU law, but it omitted all reference to whether the issue was an acte clair or an acte éclairé. According to the ECHR, and after considering the contents of the contested national judgment, “it is therefore not clear from the reasoning of the impugned judgment whether that question was considered not to be relevant or to relate to a provision which was clear or had already been interpreted by the CJEU, or whether it was simply ignored”. 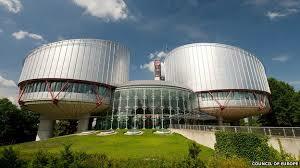 It therefore came to the conclusion that there had been a breach of Article 6 ECHR. The interesting point in the case of Schipani is that, in contrast with Dhahbi, the judgment is not unanimous. The dissenting opinion of judge Wojtyczek is very thought-provoking and merits some attention. According to Judge Wojtyczek, the decision on the breach of Article 6 ECHR for failure to make a reference should not rely on an objective and “automatic” criterion. On the contrary, the breach should be based on the gravity of the interference of the contested decision with the right of the applicant. In other words: not every unmotivated refusal to make a reference should automatically be considered to breach Article 6 ECHR, particularly when the lack of a reference might not necessarily entail a significant loss for the applicant. The question of the gravity of the interference makes some sense, particularly for a court exclusively entrusted with the protection of human rights. Of course, the Court of Justice might have other policy considerations when interpreting the counterpart of article 6 ECHR under EU Law: Article 47 of the EU Charter of Fundamental Rights. After all, the Court of Justice must interpret Article 47 in the broader context of the EU legal order, which the Luxembourg court needs to ensure. The broader context of EU Law might demand the Court of Justice to pay due attention to its relation of cooperation with national courts, in light of the duty of sincere cooperation. However, it is clear that the duty of guaranteeing the uniform interpretation and application of EU Law rests on the authority of the Court of Justice. Surprisingly, and when it comes to Article 267 TFEU, it seems as if things might be developing the other way around. The Strasbourg court is introducing a rather “objective” and strict system of review of national judgments from supreme courts subject to the duty to refer to the CJEU set out in Article 267.3 TFEU, whilst the Court of Justice seems quite happy to live with the Cilfit criteria, which in fact grant national supreme courts a very wide margin of action. This leads us to a rather paradoxical situation, in which the Strasbourg court, entrusted with interpreting Article 6 ECHR, does so in a way that reinforces a strict interpretation of the duty enshrined in Article 267.3 TFEU, whilst the Court of Justice seems rather more deferent with its national counterparts when the time comes to make a reference, thus introducing in the said provision a peculiar variable of the “margin of appreciation” doctrine so close to Strasbourg’s heart. The Court of Justice has been asked several times in the past by its Advocates General to interpret Article 267 TFEU in light of article 47 of the Charter. So far, to no avail. The developments in Strasbourg might prove that such way forward might not be a bad idea at all. Otherwise the Court of Justice might find itself having to reinterpret Article 267 in light of article 6 ECHR, pushed by the increasing pressure of the Strasbourg case-law in cases like Dhahbi, Schipani and others to come. Seen in this light, I am not completely sure if judge Wojtyczek is correct in his interpretation of Article 6 ECHR, but I am quite certain that his argument deserves serious consideration. In my case supreme court of the Republic of Slovenia refused to make a reference to CJEU. I had to make a complaint to constitutional court and an matter hasn't been solved so far. My case is very complex as I was national judge who decided to take a sabbathical and go to CJEU and work there (as lawyer linguist). Slovenian court stated that national judge is not entitled to do that and that judicial function is not compatible with work of lawyer linguist. Thanks for your comment, Marjana. That sounds like a very important issue, it would be interesting to see if it is resolved some day. The CJEU is not generally very deferential toward national judicial hierarchy when it comes to the preliminary ruling process, but I wonder if it would be on an issue like this.